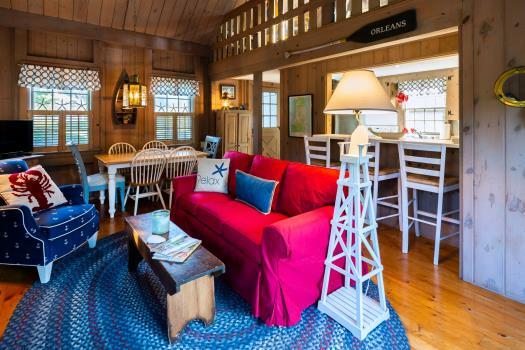 This adorable and immaculate beach cottage is just three doors away from the only private sandy beach on Town Cove-perfect for small children or launching kayaks. The beach is only available to the 14 owners/members of the neighbor association, so it's never crowded! This is a private road with little to no foot traffic. The home is beautifully decorated with room for six guests. 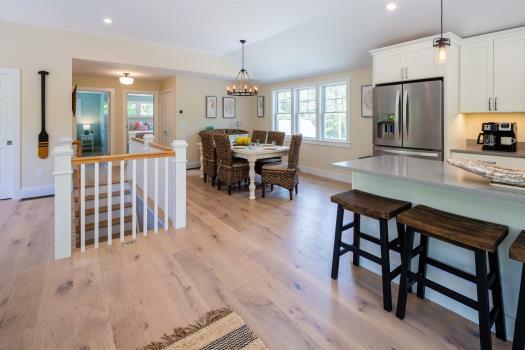 The master bedroom, kitchen, and dining area are finished with lovely hand made pine cabinets, and there are pine floors throughout the cottage. 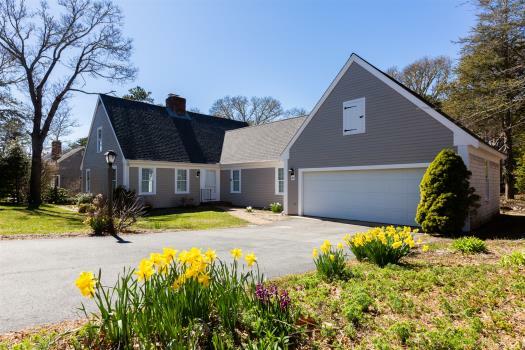 All three bedrooms are attractively decorated in traditional Cape Cod style. The back yard has a large brick patio, a large outdoor shower, a tree-shaded area to sit and read, and a large open area for children – or adults - to play or relax with privacy. Outdoor dining furniture will be included. There is a wonderful private association dock for fishing, reading, or relaxing. 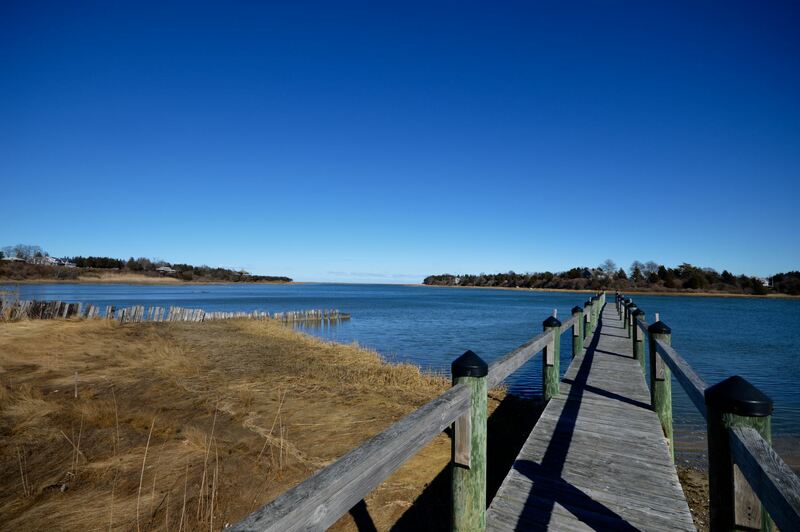 Town Cove clamming, the Great Salt Pond, Fort Hill, Cape Cod National Seashore, and the bike path are all close by.This is the best spot on Town Cove for kayaking around the Cove or Nauset marsh and inlet area. Bring your own kayaks or rent them just one mile away. As much or little as guests like. Close to beach and inland waterways. Secluded private roads for walking. Town has more modern conveniences than most on outer cape. Typically renters bring their own sheets, towels etc. That said, there are some great local companies we can refer you to that have rental linens available that can be delivered to the home for an additional fee. 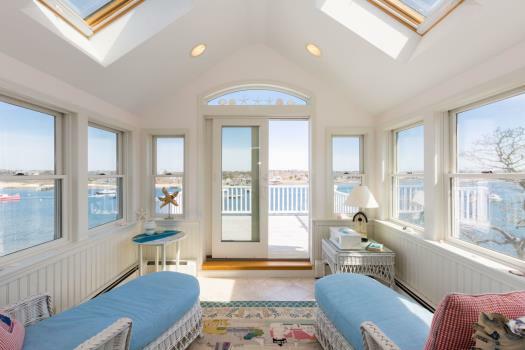 *Proximity to water and beach walk to a salt water beach - one minute walk! 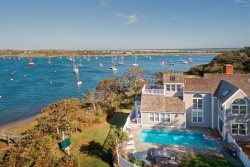 *If you are not familiar with the area - Town Cove is a salt water inland estuary and the beach is a small private association beach on this cove. 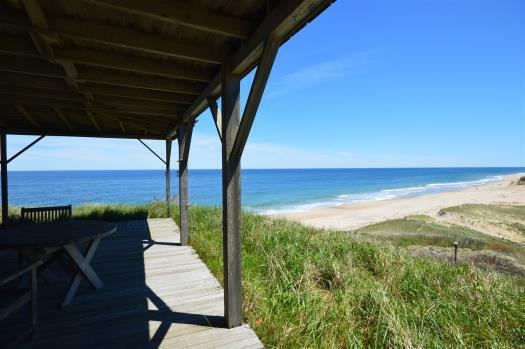 The estuary leads out to the Atlantic Ocean and Nauset Beach by water. The photographs and description accurately described the property we selected. All of our questions -- contained in a few emails over several weeks -- were promptly responded to. The referral to the laundry rental worked out well. We loved this attractively furnished, super clean house during our two-week stay. It's surrounded by a well maintained lawn with comfortable chairs, picnic table, gas grill, and outdoor shower in the back. 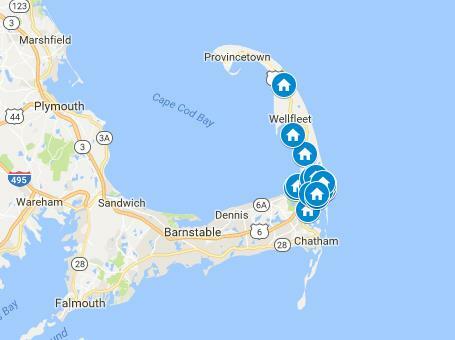 The location is convenient to the Cape Cod Rail Trail, which we used to bike several mornings to Hole-in-One donut shop (Main Street exit) and Stop and Shop grocery (Jones Road exit; a dirt path behind the miniature golf pirate ship leads to the S&S parking lot). We left completely relaxed and without turning on the TV once. Our stay was lovely we enjoyed the house enjoy the neighborhood. we already knew the area. The view from the docks was beautiful.The the house is well taken care of as are the surrounding grounds. We also got to see a few new beaches and shops. Our stay was lovely we enjoyed the house enjoy the neighborhood. we already knew the area. The view from the docks was beautiful.The the house is well taken care of as are the surrounding grounds. We also got to see a few new beaches and shops. I thoroughly enjoyed working with, my apologies I can't remember her name but it's on the reply emails that I sent her. *Fireplace is decorative and not operational.